They say that sales are all about the numbers game, and they are not wrong. But what if you could close even more deals just because of a change in the way your pitched your product or service? Wouldn’t you try? To start, I would like to change the phrase ‘sales pitch’ to ‘sales dialogue’. Why? Because, who wants to be pitched? People have become numb to salesman calling or showing up at their door with one thing on their mind, meeting their sales quota. Isn’t that such a turn off? I know it is for me. I want someone to sell me something because they genuinely care, or ‘seem’ like they care about me and whatever problem they are trying to solve. What do you want out of your first conversation? Depending on what you are selling, you may have a longer or a shorter sales cycle. Don’t just expect the sale. Set small goals for yourself. Just getting a foot in the door may be sufficient enough. Don’t push it, or you may just wind up getting pushed out. Know your audience. You need to know why your product or service is going to be a lifesaver to that specific buyer. Not all buyers are created equal, and since selling is all about the relationship you build, know your stuff. You must be able to express the value to THEIR particular situation. Buyers are smart enough they can smell a generic pitch from a mile away. Ask a ton of questions. Besides the research your do this is the one way you are going to learn about your prospective buyer. A seller should only be speaking about 20% of the time, while the buyer should dominate 80%. Get into detective mode and ask smart questions that will unveil your prospect’s needs. Sell the why, not the what. Once you know your buyer’s pain points, talk to them about the benefits and the value of your product or service. How is it relevant to their needs? 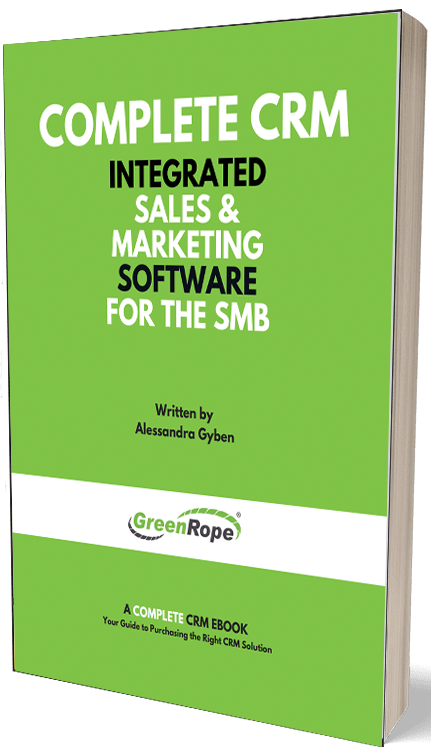 For example, if I am selling GreenRope, I am going to talk about the benefits of productivity, increased revenue, organization, and transparency. I am not going to talk about every little feature. They know what your product is. Now, they need to know WHY they need to invest in it. Do you see how this is a two-way conversation? Approaching, your buyer in this way is a lot less intimidating. Selling is like dating. You do not want to come on too strong, or you might scare your prospective partner away. Don’t use jargon. Speak in the buyer’s language. Do not assume that they know what you are talking about or the industry lingo. Explain in words that make sense to them. Use words that tend to spark an emotional response. You want your buyer to become emotionally invested in your relationship and, ultimately, what you’re selling them. Ask for something. A conversation is all well and good, but never forget that you are trying to sell. Whether it is a second meeting or just a phone call, make sure they commit to speaking with you again. You got your foot in the door, now it is time for that second date. The points made above show how the ‘sales pitch’ is no longer relevant. You should never go into a date talking all about yourself, and the same goes for selling. You need to know you are a good match, and why you are a good match. These are the foundations of a successful relationship. Stay tuned for our next blog post on Sales Best Practices.